View More In Serving Forks - Page 2. Dimension(approx. 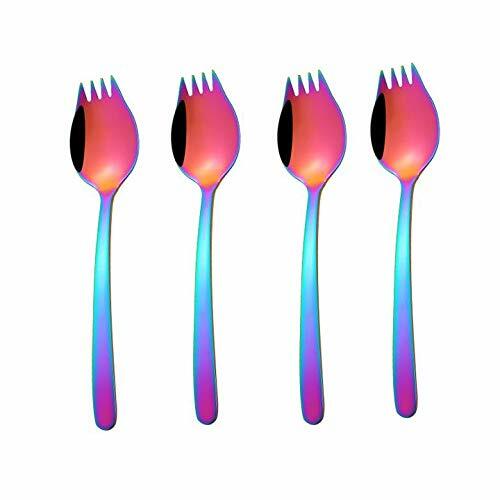 ): 20.6cm x 4.4cm / 8.1"* 1.7"
Multifunctional - Used for Picking spaghetti, salad, dessert, appetizers, seafood, cocktail, fruit, mini cakes, olives, pastry, tasting forks and spoons, eating noodles etc. Multifunctional - Used for Picking salad, fruit, dessert, eating noodles etc. If you have any questions about this product by C&L, contact us by completing and submitting the form below. If you are looking for a specif part number, please include it with your message.